This film is a true 1946 documentary about seventy five soldiers who were badly injured in the war. These injuries were emotional traumas and severe depression. Follow the lives of these soldiers as they enter a psychiatric hospital that was ran by the War Department. Some of their treatment performed on the soldiers include hypnosis and drugs. Many of the soldiers suffered from shell-shock and others suffered phobias of fear and hopelessness. At one time there was a ban on the movie but was later released to the public. The film displays the horrible effects of war on our soldiers. 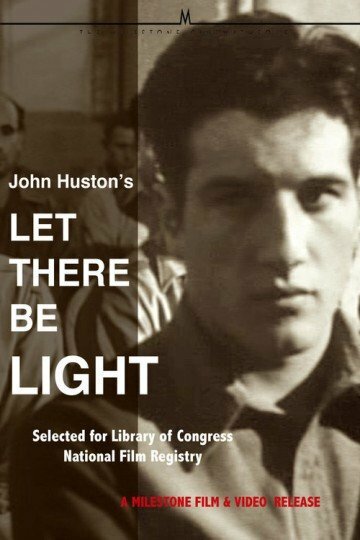 Let There Be Light is currently available to watch and stream, download, buy on demand at Amazon Prime, Netflix, Fandor, Amazon online.